For those of you who haven’t seen it yet, the Loupedeck (and now Loupedeck+) is a panel of dials and buttons that is designed to make your time in post-production focused on the image rather than the software. It, for most purposes, replaces your keyboard and mouse and can speed up the basic changes we make in raw conversion exponentially as you get used to it. Fstoppers co-founder Lee Morris took a good look at the Loupedeck+ and its use in Lightroom earlier this week, and let’s be honest, I don’t think Lee has been this excited about a piece of gear in a while (seriously, check out the video in his review of the Loupedeck+)! It’s a great addition to the Lightroom user’s arsenal, but how well does it play with Capture One Pro? 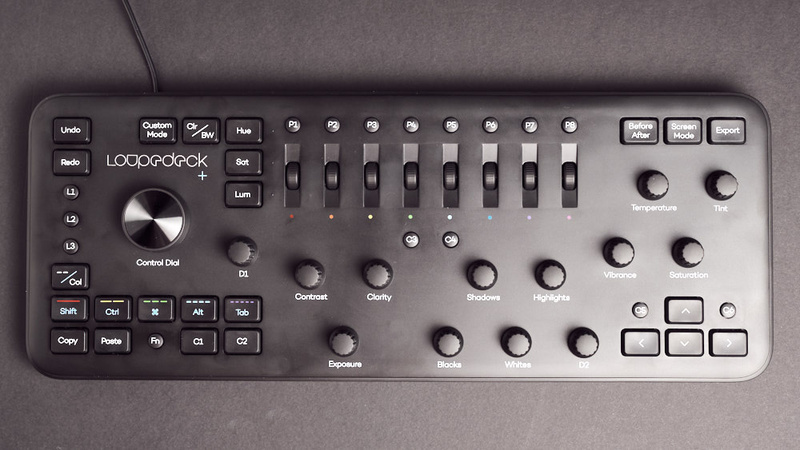 Since Capture One takes a different approach to image editing and interface customization, there are certainly areas of the Loupedeck’s operation that are less than smooth at the moment. However, the software is in beta and they’re looking for as much feedback as they can get. So, I’ll be taking this opportunity not only to let our readers know the state of things now but what I, personally, would like to see in future implementations. Since Capture One is such a complex and user-configurable program, there are nearly infinite ways to set it up and use it. As such, my requests for features may make no sense at all to others and theirs to me, so let’s try to make this a discussion of how to best implement the Loupedeck for Capture One users. Setup is as simple for Capture One as it is for Lightroom, but there’s one simple step you have to make sure of. 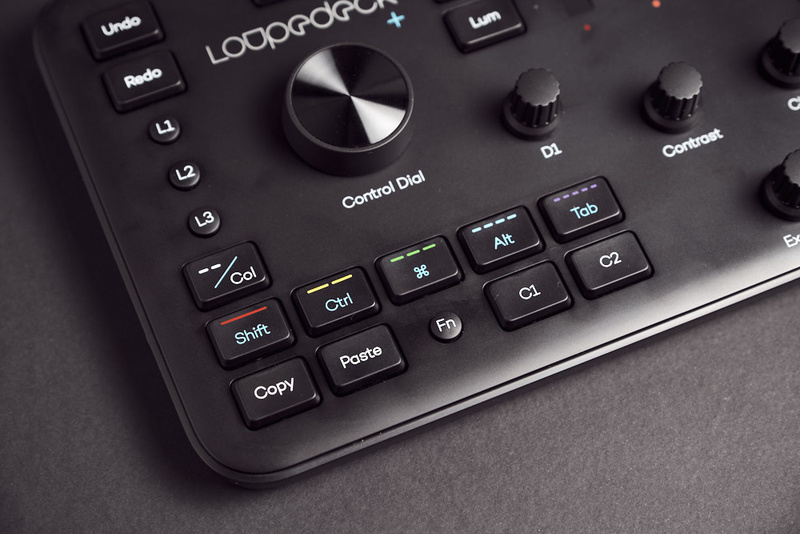 Installing the software gets everything up and running, but you need to make sure that Capture One’s keyboard shortcut list is set to the Loupedeck set. Once that's done, everything should function as it was intended. Loupedeck have a great guide to get you started with their basic dial/button assignment. 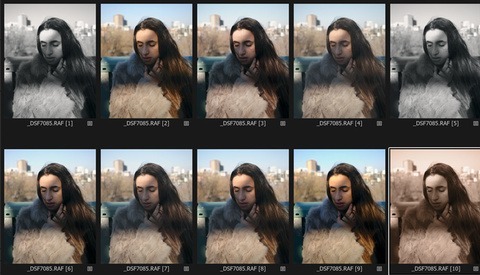 It takes a little getting used to as some of the dials, specifically those designed for Lightroom's tools, function differently than you might expect. Once you’re done with installing the software, setting Capture One’s shortcut assignments, and plugging in the Loupedeck, you should be up and running. Let’s jump into what that looks like! As is to be expected in a beta release, not all buttons and dials are functional. A few of those stand out right off the bat (the preset keys and before/after button, for example), but let’s start with what is functional and how it works. Basic exposure (and what Capture one refers to as High Dynamic Range) adjustments work as you would expect. The Exposure, Shadows, and Highlights dials all adjust the appropriate sliders in the way that you would expect. 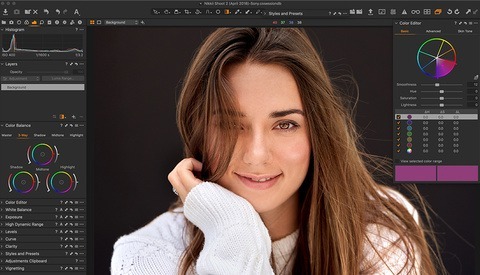 Unlike Lightroom, Capture One uses the Levels or Curves tool to set black and white points primarily, so the Blacks and Whites dials will adjust the Levels tool. It would be great if a function button could switch this to the Curves tool for those who prefer working with it. One other dial that could be improved is the Brightness (mapped to the D2 dial) which currently only moves in steps of plus or minus five. It would be better to see this as an option while moving in increments of one by default. I’m glad to see that my most-used tools in Capture One has its own dedicated dial here. The D1 dial adjusts Structure directly for you. Between this and the Clarity dial, you can adjust micro contrast in a heartbeat. 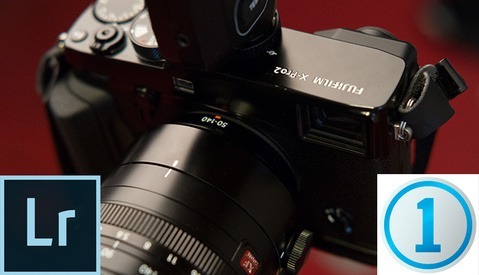 By holding the function button, the D1 dial becomes a dedicated vignette dial. This is extremely useful but it brings me to another point. At this stage, pressing the dials in does not reset each tool to zero as it does in Lightroom. I assume this is coming in a future release as it is extremely useful. Right now, if you want to reset an adjustment, you’ll need to either take up your mouse and reset it manually (seemingly opposing the very purpose of a device like this) or look at the slider and dial it in manually (see the previous parenthesis). If I’m honest, this is one of the major reasons I decided to try the Loupedeck+. Sliders never made much sense to my lizard brain and I needed a new way to adjust white balance. Being able to change temperature and tint in small increments simultaneously has been a huge boon to me so far. If you’re in the same boat, it may be worth looking into this, or some other physical tool to make this process easier for you. 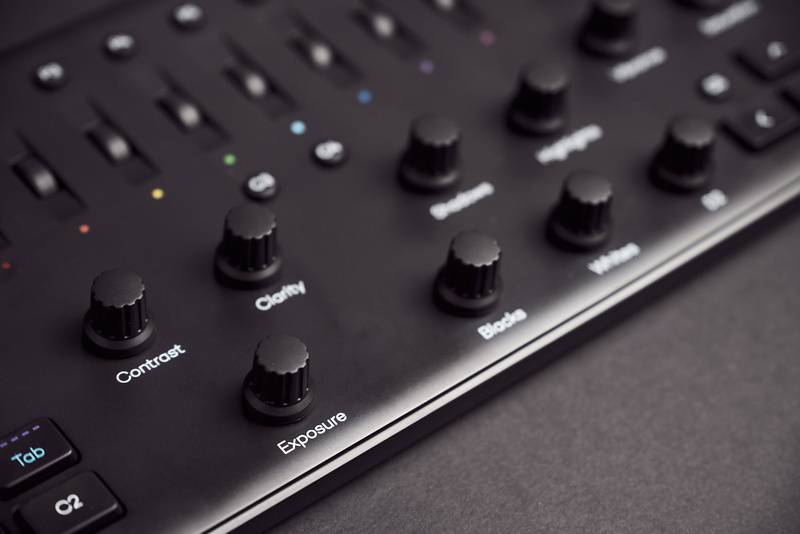 Color adjustments work quite differently in Capture One than in Lightroom, so Loupedeck have presented an interesting solution that I feel works quite well. The Hue, Saturation, and Luminance buttons switch between Capture One’s Highlight, Midtone, and Shadow three-way selectors. Then by using the Red, Orange, and Yellow dials on the Loupedeck, you’re able to change saturation, hue, or luminance of the selected tool. Since the buttons are not labeled correctly, it can take a little getting used to. However, after a few moments, I found this simpler and more accurate than adjusting these tools with the mouse. Tool selection has been implemented quite well. Most common tools can be selected with a simple button press and customized to your liking. By pressing the button again, you exit the tool you are currently using. However, this takes you back to the hand tool rather than the selection tool. Hopefully, this can be fixed in an upcoming release. Because of the way tools work on layers in Capture One, the current method presents a couple of interesting issues for users of the Loupedeck+. The first is that simply selecting a tool does not create a new layer. So if you’re working with the brush and then change to the graduated filter, you will simply overwrite your brushwork on the current layer. Functionality to allow the creation of a new layer with a button press and also cycling through layers (perhaps with one of the unused color dials) would make tool and layer use more efficient, I believe. 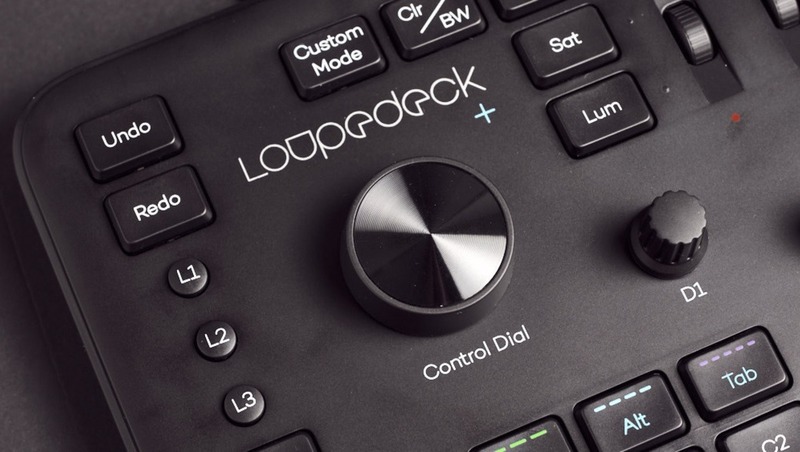 In terms of the exposure, color, sharpness, and other image adjustment tools, the handling of these by Loupedeck is still somewhat clumsy. Since Capture One’s interface can be customized so much by moving tools around and placing them in different tool tabs, the developers face an interesting issue when showing you the tool you’re currently working with. For example, if you change the exposure using the Loupedeck’s dial, the software will automatically take you to the default Tool Tab and show you the change you’re making. However if you have customized the location of that Tool or Tab, the Loupedeck will take you to the wrong location and you will not be able to see the changes you’re making to that tool. So far, I have not found a good solution to this. Perhaps a good solution for the Loupedeck team would be to create a custom workspace for Loupedeck users and provide it with their software? Do our readers have any better suggestions about how to handle this behavior? Image selection is one of those things we all do and potentially is one of the most time-consuming. Although the Loupedeck doesn’t offer any revolutionary new method of doing this, it does place all the rating tools in one place so you don’t have to look down from your monitor. Both stars and colors can be assigned and removed with the same set of keys. This plays exceptionally well with Capture One even in the beta software. There are still a few buttons that remain unimplemented in the beta software. Noticeably, the P1-P8 buttons (which get used for applying presets in the Lightroom version) are not set up by default. At this point, there is no way to assign them to styles or camera response curves in Capture One. It would be great if this could be implemented in a future release. I can see this making the first stages of post-production extremely efficient. I often use the Fujifilm Film Simulation response curves as my base for processing, so having those on keys as well as a few of my most used styles would mean that I wouldn’t be reaching for the mouse and navigating through menus. Another button that is not implemented is the Screen Mode button. 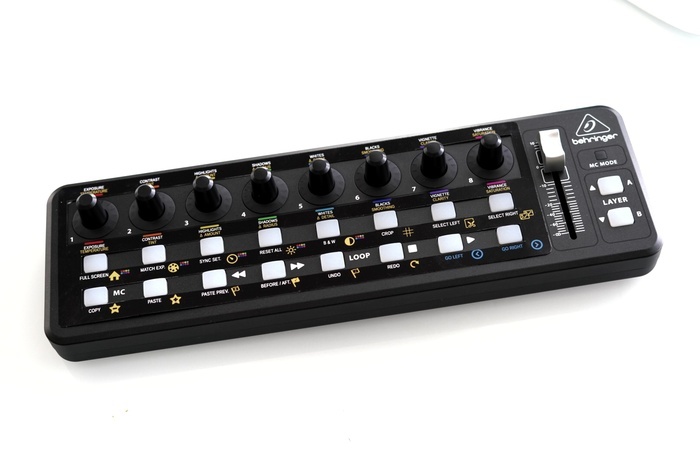 Perhaps a couple of good implementations for this in Capture One would be hiding the tools and browser or switching workspaces (currently, I’m using a dual monitor setup while working the with the Loupedeck+, but only a single monitor setup when working with the keyboard and mouse - switching between these with the press of a button could be useful). The Before After button is also not implemented, but this should be a simple addition to the next release of the software. Hopefully we’ll see that soon. Loupedeck’s first attempt at integrating with Capture One has all the basics sorted out and working reasonably well. There is quite a bit more functionality that could be added and some hurdles to overcome yet. What would be your requests for the final version of the software? How do you use Capture One? How can you see the Loupedeck+ being able to help in your workflow? It’s designed for Lightroom and I enjoy using it. It really works very well. They are trying to stretch the market by saying it can be used for other applications. Yes it can but it’s not as practical. For it to work as smoothly it would have to be customized to that softwares naming conventions. I’d recommend it for Lightroom but cautious for anything else. I guess I would see the appeal if I ever saw the appeal of Lightroom. Since I'm a studio shooter with total control of my lighting, I don't have the same workflow as event shooters. Behringer X-Touch Mini (less than $50 in USA). Works great with Lightroom. Entirely customizable!